NetDefend UTM firewalls create a safer network environment for companies using a built-in extreme-performance Anti-Virus acceleration engine together with stream-based virus scanning technology. NetDefend™ UTM firewalls implement stream-based virus scanning technology without first caching complete incoming files, thus increasing inspection performance and relieving network bottleneck nightmares while enabling powerful virus defense capabilities. D-Link firewalls use virus signatures from the well-known and respected antivirus company Kaspersky Labs to provide our customers with prompt signature updates and reliable, accurate antivirus signatures. Using stream-based virus scanning technology, NetDefend UTM firewalls block viruses and malware before they ever reach your network's desktops or mobile devices. NetDefend firewalls create a safer network environment for companies of all sizes, from SMB networks to enterprise-class organizations. Kaspersky Labs is the market leader in AV signature creation, providing the fastest response to the most dangerous viruses, trojans, worms and spyware programs. 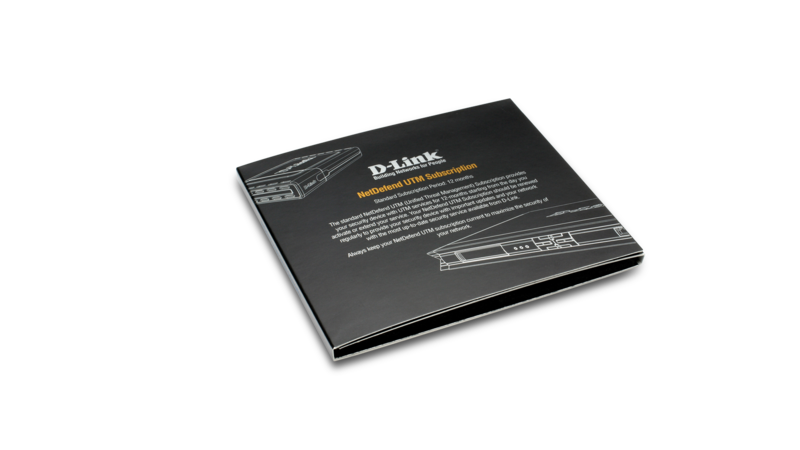 D-Link's AntiVirus solution has a built-in extreme-performance AV acceleration engine that allows D-Link's UTM firewalls to perform with a much higher throughput than other antivirus-capable UTM firewalls on the market. A streaming-based scan engine inspects all payloads and matches the signature packet-by-packet. File-based AV protection will never encounter a file-size limitation since D-Link firewalls do not need to store whole files in memory for inspection purposes. All AntiVirus signatures are updated hourly and made available through D-Link update servers worldwide, and emergency signature releases protect against the latest, most virulent virus variations. NetDefend's proactive signature database protects each system against network worms, trojans and spyware with over 2,000 signatures covering all Wild List threats and thousands of well-known OS exploits and application vulnerabilities. Complete antivirus logs with issue dates, behavior and technical details enable MIS personnel to know about and then respond immediately to virus threats and infections. My D-Link portal provides a registration and management platform for all D-Link customers. D-Link customers need to register their firewall to receive AV update services from the NetDefend Center's My D-Link. The current status of all registered products will be presented, including Model Names, MAC addresses, Serial Numbers, Registration dates and AV Service Expiration dates. Customers can easily maintain all firewalls registered under My D-Link.